In the top left corner of the page, Author Types including Author, Writer, Photographer, Editor and Columnist are displayed. 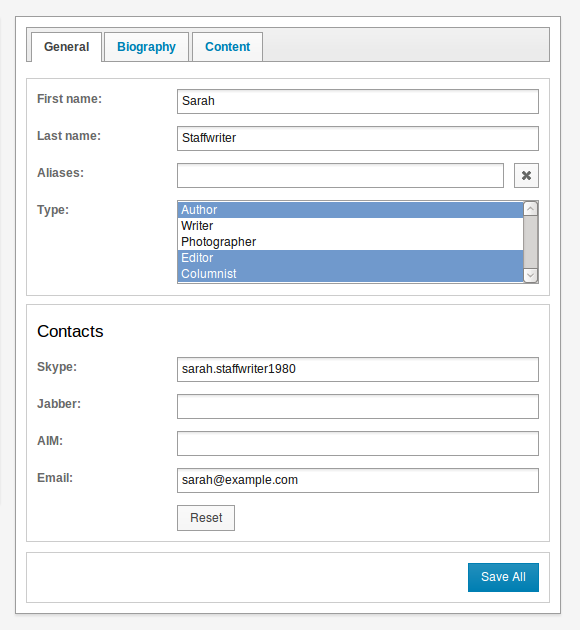 Author Types can be added or removed here to suit your publications. 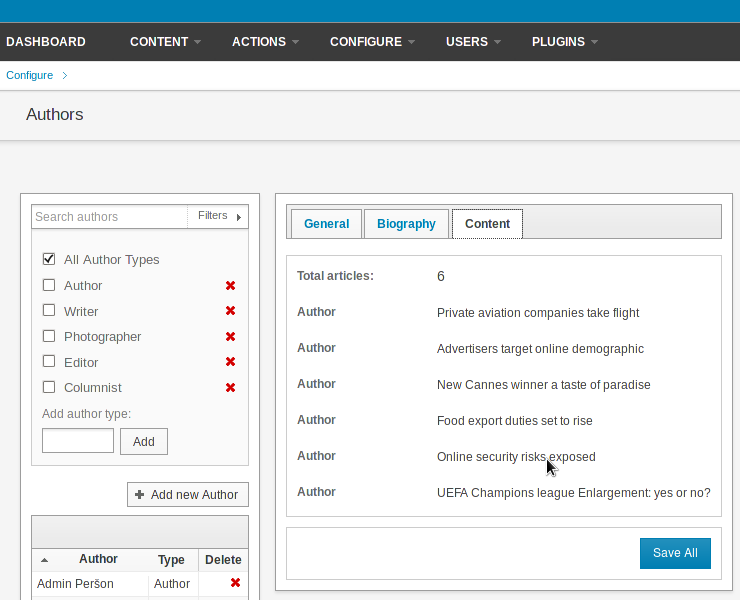 Click the + Add new Author button to create a new record in the database of authors. 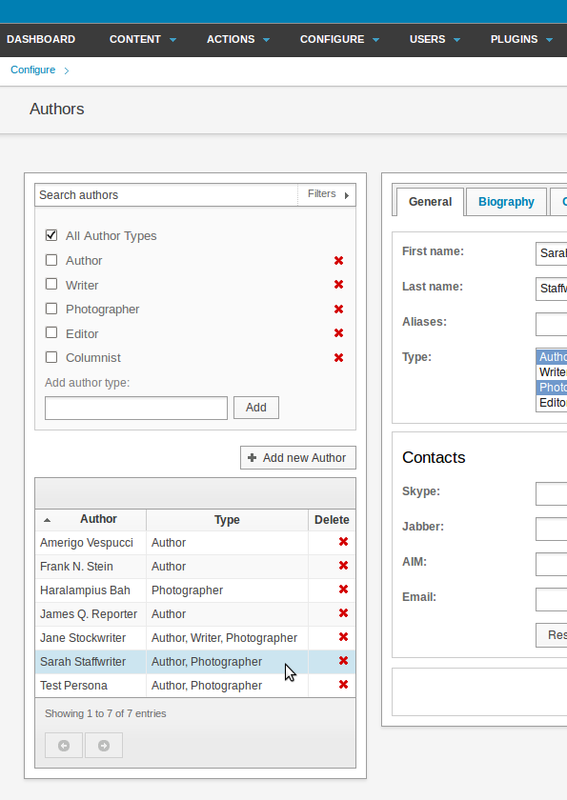 You can add the author's names, aliases, Author Types and contact details to the General tab. Multiple Author Types can be assigned to the same person, by holding down the Ctrl key as you click. 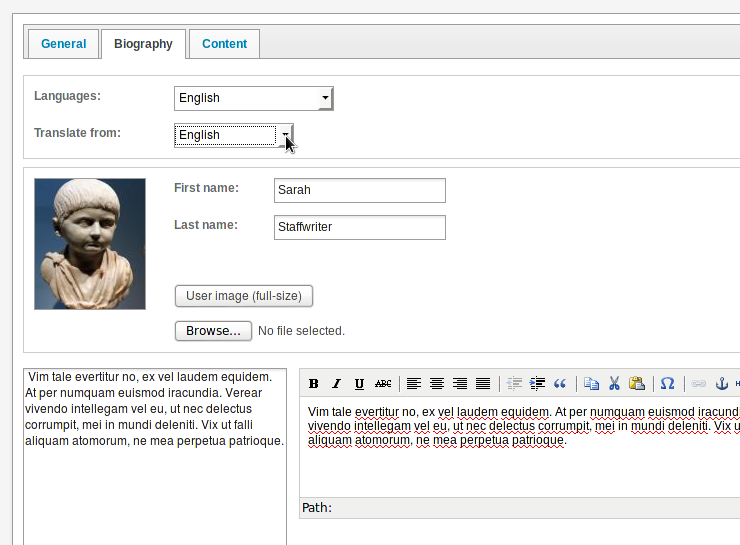 On the Biography tab, there are fields for the author's written Languages and a description of the author, as well as a Browse button for uploading a photo. Then click the Save All button in the lower right corner. To modify an existing author record, click on the name of the author in the left side table to display three tabs on the right side of the page: General, Biography and Content. Existing metadata can be updated and further information can be saved for each author in the General and Biography tabs. The Biography tab also enables the author's profile to be translated into other languages, for multi-lingual sites. The third tab, Content, tracks any articles associated with the author. You can click on any of the article names to open the editor interface for the article in question.